GBRf's 10 year contract to work LUL engineers trains from the National Network to LUL possession and renewals sites ended at Easter 2016, with point renewals East of Barking, and track renewals in the Bromley-by-Bow area. Many 'special liveried' 66s were turned out for the last possession. 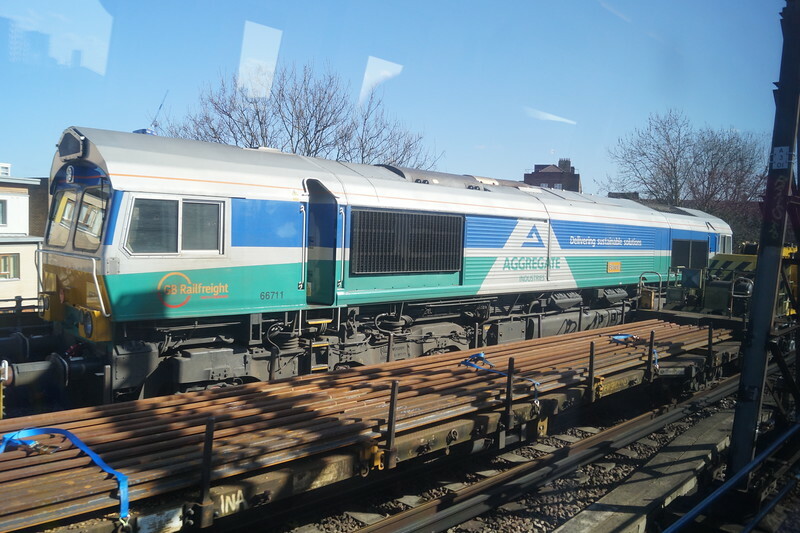 Aggregate Industries liveried 66711 'Sence' is seen West of Bromley-by-Bow on the Hammersmith & City / District line with an engineers train. Friday 25th March 2016.